Intelligence Minister says Israel does not expect world powers to reach a nuclear agreement with Iran by July 20 deadline. 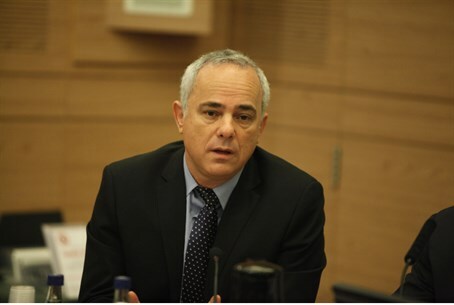 Intelligence and Strategic Affairs Minister Yuval Steinitz said on Friday that Israel does not expect world powers to reach a nuclear agreement with Iran by the July 20 deadline. Speaking to the Reuters news agency as Iran and the West gathered for another round of talks aimed at ending the international dispute over Iran's nuclear program, Steinitz said, "My estimate is that there will not be [a deal]. I think the Iranians came with a very hard line. "The Iranians came without willingness to compromise but with a desire to exploit this stage to soften and improve the opening positions of the other side," he added. Steinitz led a high-level Israeli delegation to Washington on Monday, meeting U.S. negotiators Deputy Secretary of State Bill Burns and Under Secretary of State Wendy Sherman. He told Reuters his visit to Washington showed how important the matter was for Israel, "more even than the serious terrorism from Gaza and the murder of the youths and the problems on the northern border with Lebanon and Syria." Steinitz reiterated Israel's position that Iran should dismantle its entire program to enrich uranium. Not insisting on this "is already a kind of a concession by the West, or by the powers, (that) we think is wrong," he said. Asked what Israel would do if there was an agreement that it did not see as satisfactory, Steinitz said, "We are keeping all options open. We will have to see what the deal is, to what extent it is good, to what extent it is bad, if it meets the minimum demands or not." Iran and the six powers, also known as the P5+1, are striving to turn an interim deal signed in November into a comprehensive settlement by July 20. So far there has been little progress and Iran’s foreign minister, Mohammad Javad Zarif, said last week that Iran rejected the West’s "excessive demands". Israel has repeatedly warned against a bad deal with Iran and expressed its dissatisfaction with the interim deal. On Thursday, Western diplomats close to the negotiations said that Iran has reduced demands for the size of its future nuclear enrichment program, but predicted that it would not be easy to clinch a deal by July 20. Iran has previously insisted that it will never give up on what it sees as its right to uranium enrichment. Earlier this week, U.S. Secretary of State John Kerry warned Iran that a nuclear deal is still possible, but time is running out.